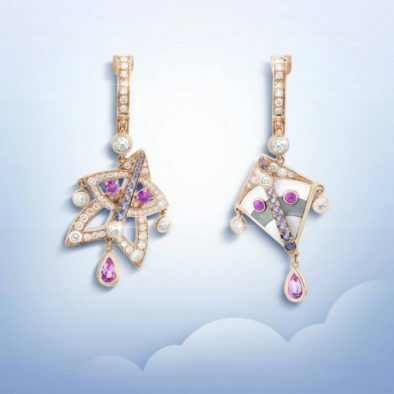 Faithful interpreter of lightness and movement, the Van Cleef & Arpels Cerfs-Volants jewelry collection celebrates the kite as the epitome of light movement in the sky. 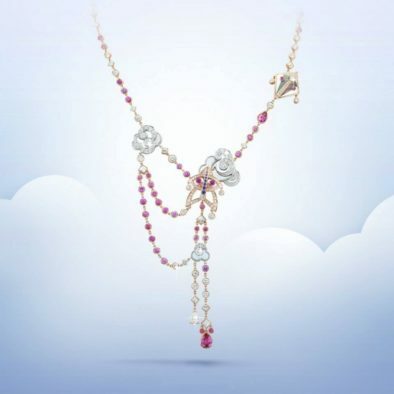 Considered a guardian in the Asian culture, the kite confers its joyful dynamism to a new jewelry and high jewelry collection. 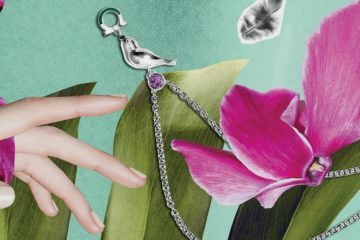 Delicate and full of refinement, the kite is a key inspiration source for Van Cleef & Arpels which has explored themes such as feathers, birds and butterflies since its very beginning. This graphic motif is enhanced today by eight jewelry creations and by seven unique high jewellery masterpieces. 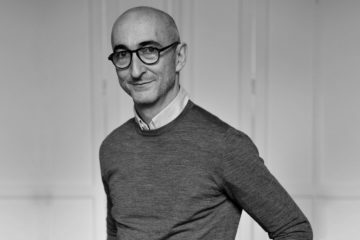 These latter virtuously illustrate the Maison’s typical style, centered on the artistic transposition of the notions of movement and flexibility into tangible chefs-d’oeuvre. Thanks to its inimitable savoir-faire, Van Cleef & Arpels is able to give to its eight jewelry creations a unique character: a necklace, a bracelet, a brooch, two rings and three pair of earrings. 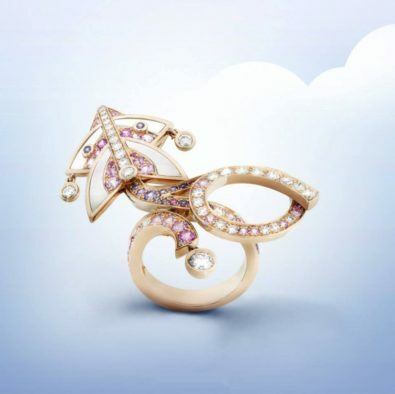 The Kite, in Van Cleef & Arpels’ interpretation, truly represents the aesthetic of lightness and gives birth to the Entre les Doigts ring: while describing elegant volutes, the kite’s ribbons unfold across the hand, with its mobile pendants following the fingers’ gestures, in what comes to be a very lively jewel. 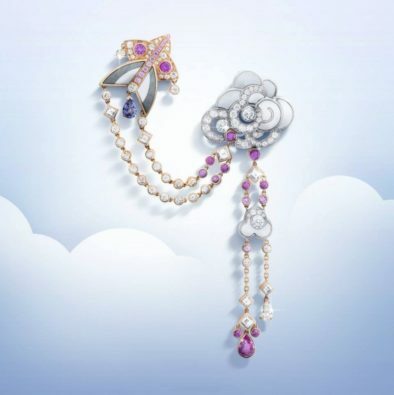 On the chatelaine brooch, the kite motif accompanies that of a cloud, thus giving the impression of flying amongst raindrops, represented by delicate mobile gems. A little chain set with diamonds links these two motifs, which may be positioned at one’s will, and may also be detached and worn separately thanks to a ingenious mechanism. 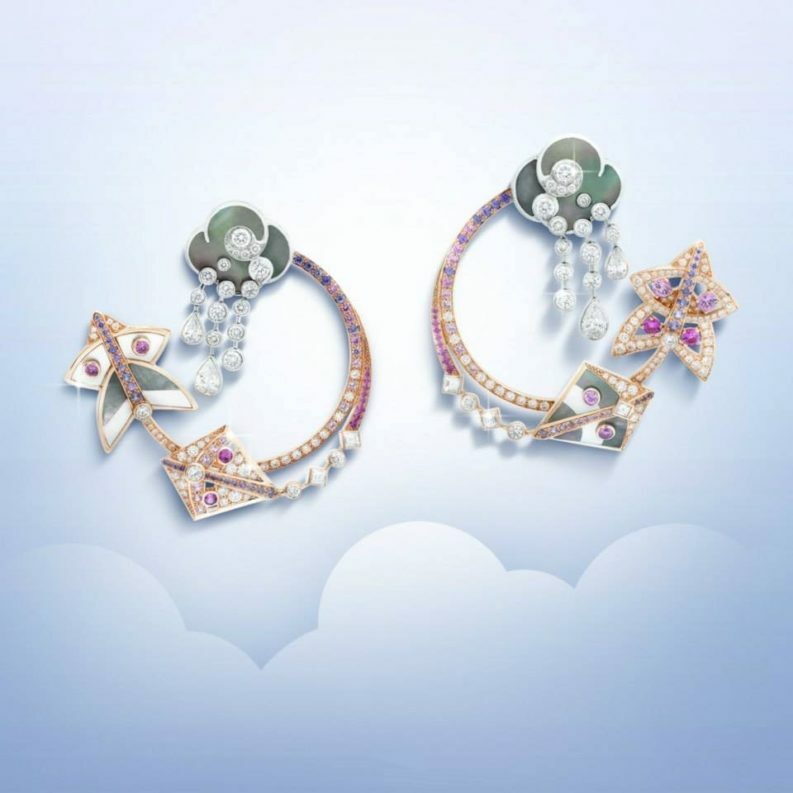 A pair of asymmetric earrings create a surprise, by uniting two different representations of the kite: the first one in white and gray mother-of-pearl, the second set with diamonds and precious colored stones. 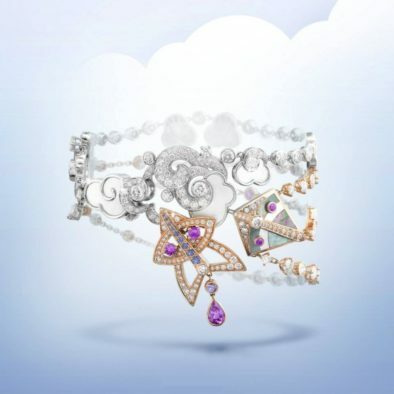 The bracelet of the Cerfs-Volants collection is composed of four moving little chains set with diamonds, and it illustrates the Maison’s savoir-faire at its fullest: a technical and creative confidence which enables the jewels to be worn flawlessly on every occasion. Van Cleef & Arpels selects the materials according to the most rigourous qualitative criteria, and these offer the collection elegant interplaying shades. The white and grey mother of pearl harmonize their reflections, pink and mauve sapphires orchestrate delicate shadings. Different techniques of setting and cut – brilliant, drop or square – used for every piece demonstrate the immense savoir-faire that the Maison puts in place to give life to these amazing creations.